Dan and Donna Lee founded Morgan Winery in 1982 in Santa Lucia Highlands (before it was an AVA). They were named Winery of the Year in 1996, and in 2001 they became the first Certified Organic property in Santa Lucia Highlands. 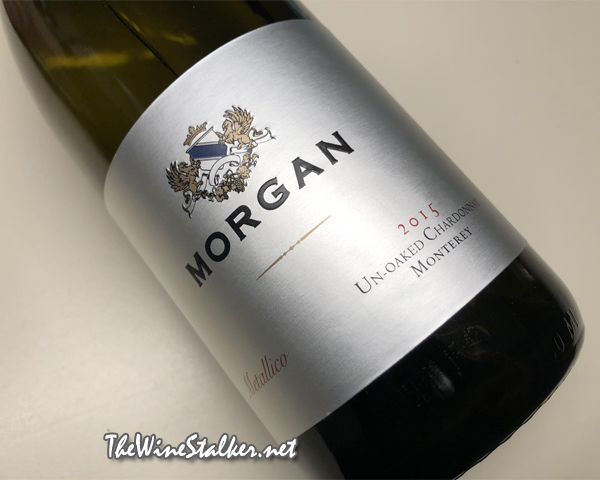 I'll be reviewing three wines by Morgan starting with their 2016 Monterey Sauvignon Blanc, then their 2015 Santa Lucia Highlands Syrah, and finishing with 2015 Metallico Un-Oaked Chardonnay. The 2015 Metallico Un-Oaked Chardonnay is from the sandy and shaly loam soils of the Roger Rose, Leavens, Double L, and Kristy estate vineyards in Monterey; all chosen for their proximity to Monterey Bay for its cooling effect. Entire clusters were pressed as a whole, then fermented in cold tanks, and sees five months in stainless steel. It saw no oak aging and no malolactic fermentation. The final ABV is 13.5%. You're damn right that the name Metallico reminds me of Metallo; a Superman villain who made his first appearance in 1959. 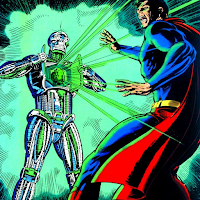 Metallo has several origin stories but he's always a man named John Corben whose life was saved by turning him into a cyborg with a Kryptonite heart. What he did as an occupation and the cause of his near fatality changes. Sometimes it's Lex Luthor who created Metallo from Corben, sometimes it's not. But Metallo is always one of Superman's biggest threats, and he was one of the more featured and sympathizable villains in Superman: The Animated Series. In current continuity he's recently deceased, killed for his Kryptonite by Mr. Oz. The color of the wine is a pale yellow with silvery edges. On the nose there's pear juice, pineapple, and ginger. On the palate it's full bodied with rich mouthfeel and a tart acidity that brings life to the fruit. There's flavors of pineapple, grapefruit, and lemon. Then it finishes with lemons and a burst of acidity and minerality. I've said this before and please allow me to say this again: most of the time there's no point to making unoaked Chardonnay in the New World. It just tastes like Sauvignon Blanc, and Sauvignon Blanc can't handle oak but Chardonnay can... so why would you go ahead and do this? Why? But every once in awhile you get a New World unoaked Chardonnay that is crisp and clean and zippy, like an unoaked Chardonnay should be, but still *GASP* TASTES LIKE CHARDONNAY! This is one of them. Clearly a Chardonnay, clearly unoaked, and clearly great quality that is worth every cent that you spend on it. 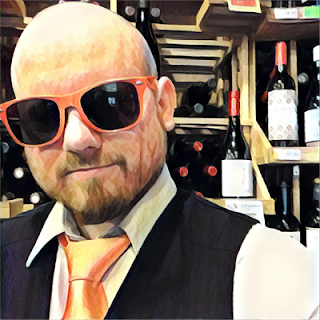 Morgan killed it in this trifecta of reviews with two Recommended and one Highly Recommended. Good job, dudes! Keep it up!